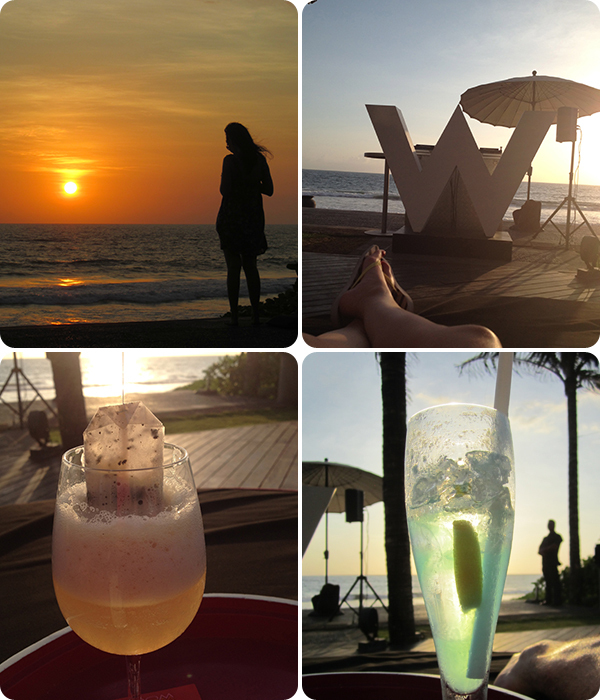 I mentioned in yesterday's post of my WOW experience at the W in Semingyak on my recent Bali holiday. Yes, it was a bit of a splurge (around $350AUD a night) but if it is good enough for cool footballers and models, I can stay there too! It was such a great place to stay, there is enough to keep you occupied all day and you wouldn't think for one moment you were in Bali. There was so much to do at the W. The Away Spa looked absolutely amazing but time got away from us and we just chilled by the pool. I was also obsessed with taking pictures of the big "W"'s that were all over the resort. We stayed in the cheapest (yet still chic) room which was a garden view room. It was spacious and was packed with all the trimmings. Bliss bathroom products, king size bed and enough bottled water to get you through the day. The bathroom was a room in itself with a freestanding bath and shower (big enough to have a party in!). The stone walls had me at hello. I was picking Lord Fable's brain wanting to know what stone it was so that we could possibly have it our next home. Hint, hint! As we were on the 4th floor the shower/bathroom had a retracting skylight with a push of a button it would let more light into the room. It was a nice touch. It isn't the rooms that make or break a hotel, it is the Pool. The Wet area at the W was fantastic, enough lounges to accommodate everyone, talent (staff) at your service and a great pool with a view. 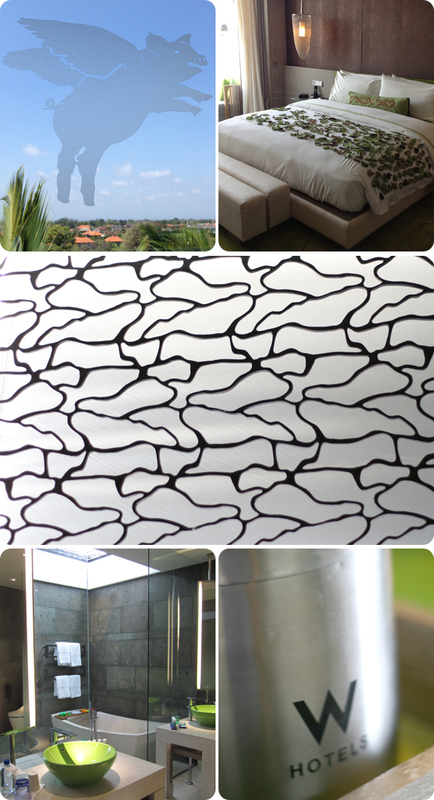 The hotel is situated right on the beach and you are facing the Indian ocean. There is something "regal" about the purple towels don't you think? Breakfast was served at the Fire resturant every morning. It was a traditional buffet of local and western foods but you also had a menu to pick from that would be cooked for you at the live cooking stations. Most importantly was real coffee!! I had my double shot skinny latte every morning. My favourite time of the day however was happy hour at WooBar. From 5-6pm you get 2 for 1 cocktails and get to watch the most amazing sunset while a guest DJ plays some tunes. This was pure bliss and so relaxing. For those who like to party all night WooBar has a Dj playing until 4am every night with guest Dj's from all around the globe. I so didn't want to leave, but all good things must come to an end and we left this beautiful place, full of beautiful people to come home to some horrible Melbourne weather. 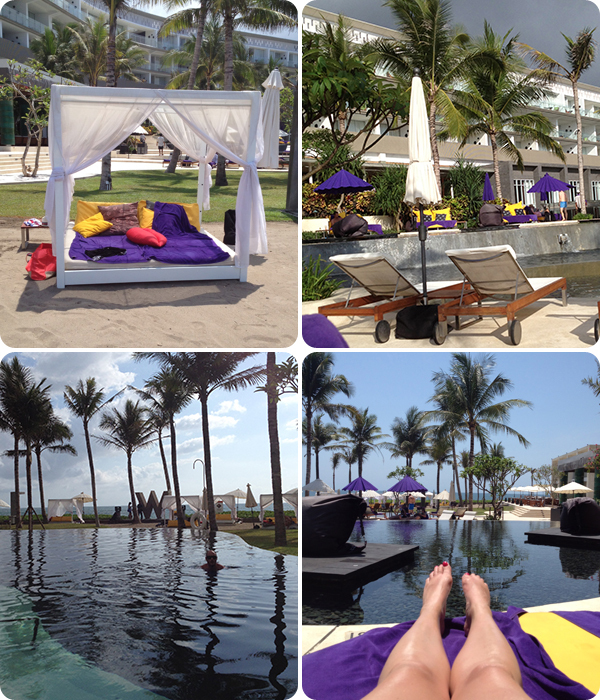 I am already trying to work out when I can get to Bali again, maybe a birthday trip will be in order. There were so many things that I didn't get to experience at the W. I highly recommend it for a couple of nights, well worth the price. It definitely was a special treat for us, but it was worth every penny. If you want to check out their website details are below.